So it is not all that often that I post advertisements. In fact, I don't think I have ever done so. But this isn't really an advertisement. It is more of an opportunity. There is a giveaway going on for a Nikon/Canon 50mm 1.4 lens. Now, I currently use a Canon 50mm 1.8 lens and it is absolutely amazing! I adore it. I take it with me everywhere. The 1.4 is supposed to be a world apart. So, you know that I am going to be entering this contest. I thought you might want to as well :) So pop over to http://www.ohsoposhphotography.com/blog/?p=5558 if you'd like to participate! I discovered a clever little site a few years ago. At the time, I used it for my writing while Grant used it to further his Photoshop skills. But over the past few months, I have also found it incredibly useful for photography. That site is Worth1000. Worth1000 is a site filled with contests. The contests are arranged into different categories, such as Effects, Photography, Writing and more. Every few days a new contest is posted and everyone has the opportunity to enter. There are levels and rules, of course, but you can always find a contest aimed at your skill level and providing some interesting ideas. I have found it particularly useful when it comes to photography, since it gives me the incentive to try new things. Once the contests close for entry, everyone has the chance to rate the photos that were entered to decide on a winner. There are no prizes, but it is still a great feeling to know that people thought your photo was the tops, and you will find that the site randomly picks winning photographs to display as photos of the day, which (I imagine) is also a great feeling! Worth1000 is also a great place to enter into discussions and ask questions. There are forums for each section which allow people to ask questions and get answers from those with more experience than yourself. Because there are different categories, you will find that the people entering the contests will range from beginners to experts, and you know that there is always the opportunity to learn. During the contests themselves you can also ask for constructive criticism of your photographs, which means that you can learn what it is that people don't like about your photographs and what it is that they do like. You also have the option of closing your photos to comments, which means that you will only get feedback if that is what you want. Another thing that I love about Worth1000 is their mentoring programme. I was involved in this during the month of November where I got paired with an expert from the States and we had weekly Skype sessions to discuss photographs and to learn more about photography. It was an awesome experience, since I learned quite a lot about placement, using Photoshop and more. Entering Worth1000 contests is a great way to challenge yourself and to move beyond what you know and into areas that you are still uncertain about. 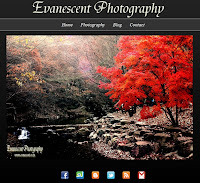 It is a great way to put yourself out there and receive positive feedback and constructive criticism for your photographs, writing, Photoshop work and more. I would highly recommend that any beginner, or photographer of any level for that matter, enter a competition or two and see how you do. You never know what may come of it!